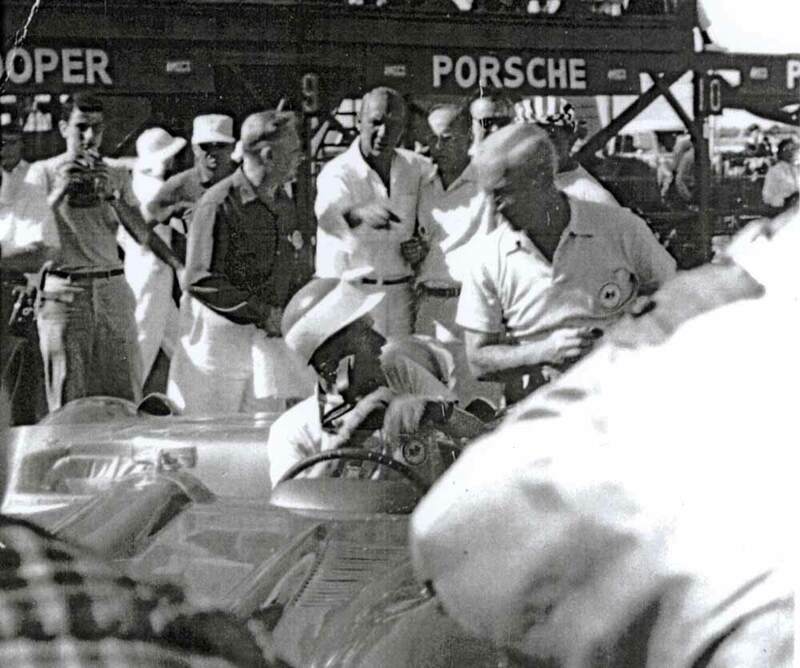 Paul was interested in cars for as long as he can remember. One day the shop manager at a local Pontiac dealership let him drive his beautiful MG TC home to show his mother in hopes of getting one for his High School graduation, but that didn’t happen. 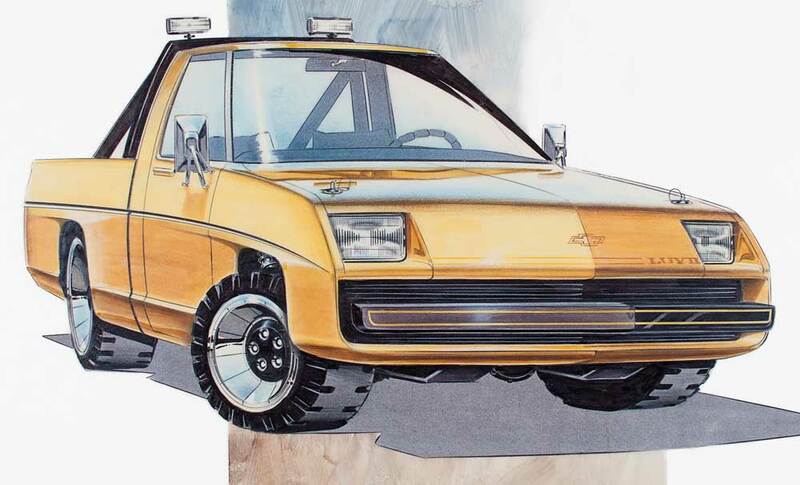 So the first thing Paul spent his money on while in the Army was a MG TD. 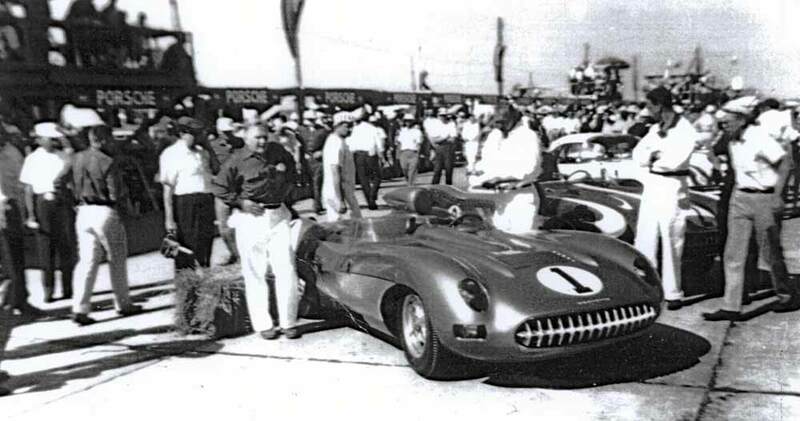 He attended many sports car races in the east, including the Sebring 12-hour International race. 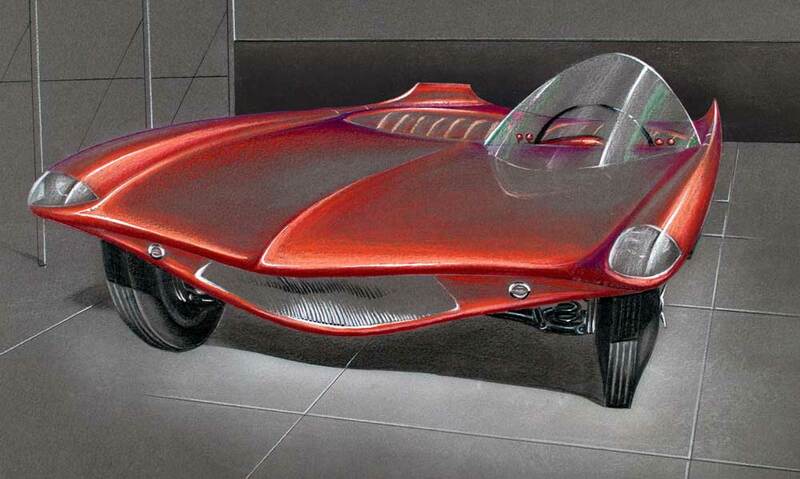 Paul graduated from Pratt Institute in June, 1954 with a Bachelor’s Degree in Industrial Design. 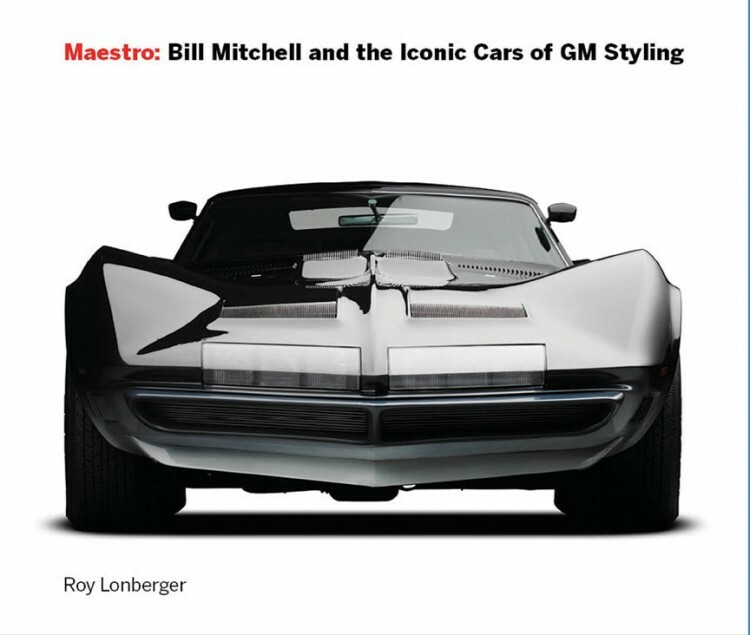 He was hired by GM Styling after being interviewed by Bill Mitchell, and began his career in the Orientation Studio, then was moved to Pontiac Studio under Paul Gillan and worked on the Strato Star show car. The Army interrupted his career. Paul was inducted into the Army in December, 1954 at Fort Dix. He was transferred to Ft. Knox and served as battalion photographer, in the 339 Corps of Engineers unit. He went through training at Ft. Eustis for Project Dewline West (Alaska and Canada), where he served as instruction cadre in cargo registration. On return from the arctic, Paul made a plaster scale model of the future site of the Jamboree at Valley Forge that they were to build. He served on a survey crew, as a photographer, and as a company orderly. Paul was discharged in December, 1956. Paul returned to Styling in January, 1957 to orientation studio for short period. There he worked on Stingray proposals. 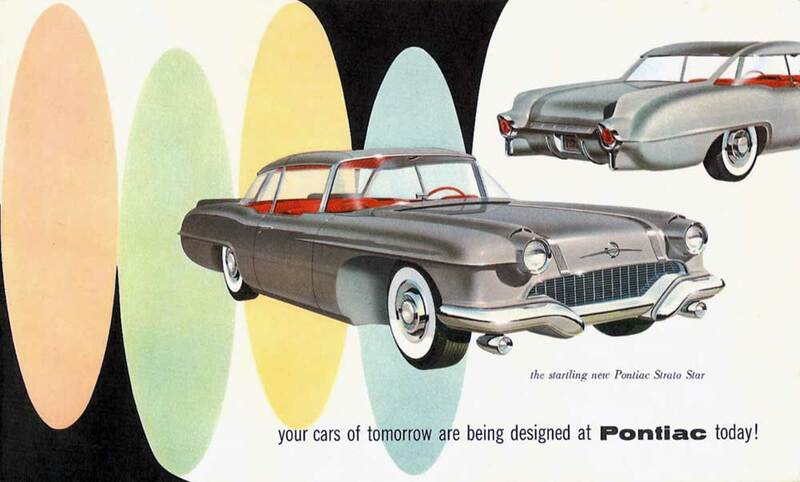 Then back to Pontiac studio under Paul Gillan and later under Joe Schemanski, and worked on the ’59 Pontiac. 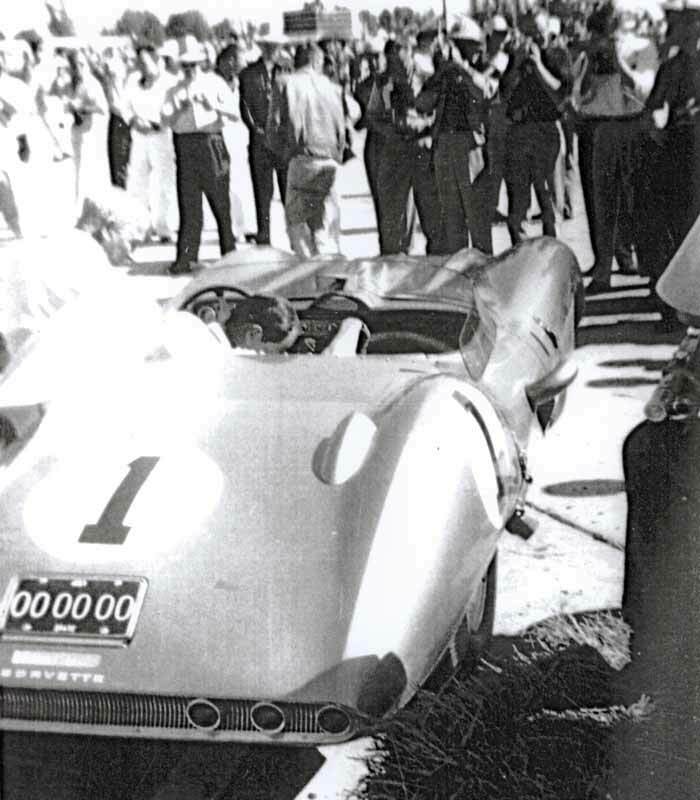 He contributed to the front and side spear, wheel discs, and rear quarter treatment. 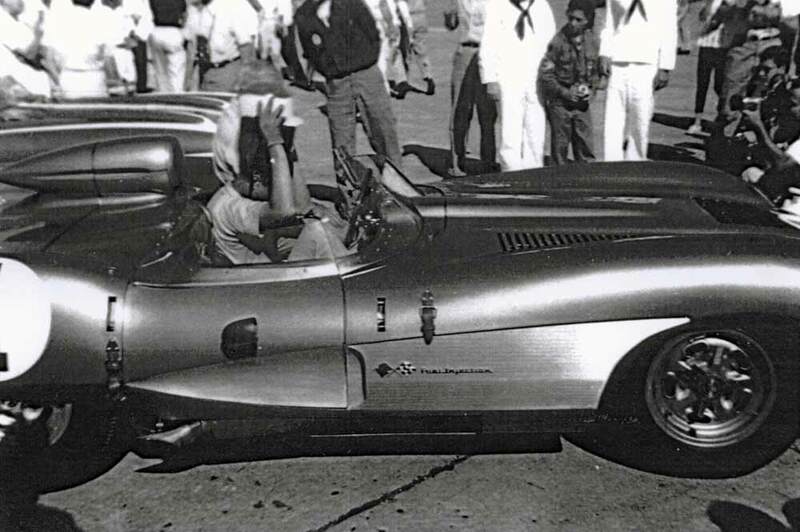 Upon transfer to Pontiac, Paul quickly sold his MG TD and moved into a new 1957 Corvette. 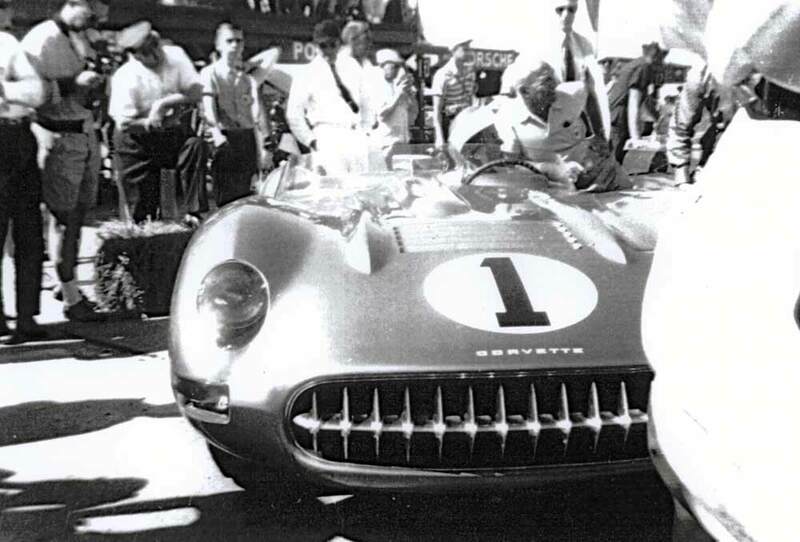 In late ’57 Paul was transferred to Chevrolet under Claire MacKichan. 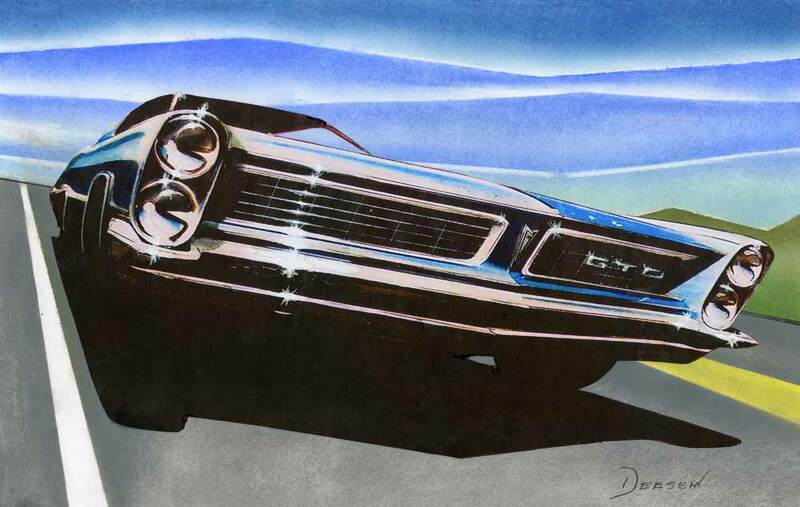 He worked on ’60–’63 Chevrolets, contributing to new fronts, side, and rear end treatments, front end panels and décor for the Corvair, and minor Corvette grille changes. 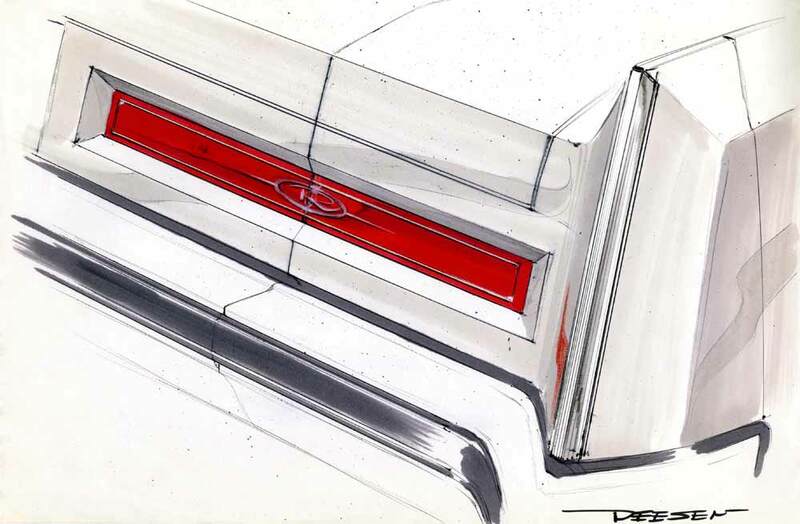 He was credited for the ’61 front, the ’62 rear, and the ’61 Corvair front. 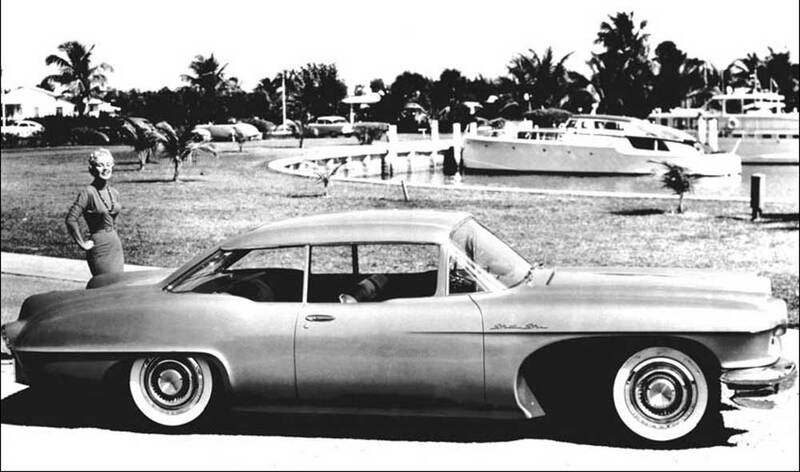 In ’61 Paul moved to Buick under Bernie Smith. 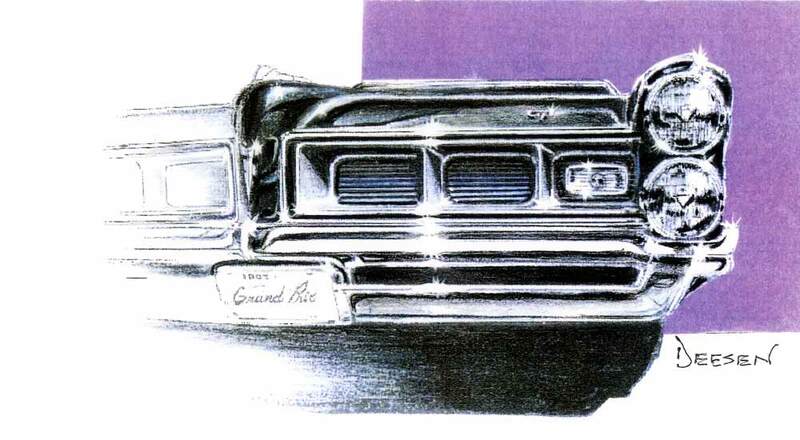 There he contributed to the ’63 Electras, LeSabres, and the compact Buick Skylark. 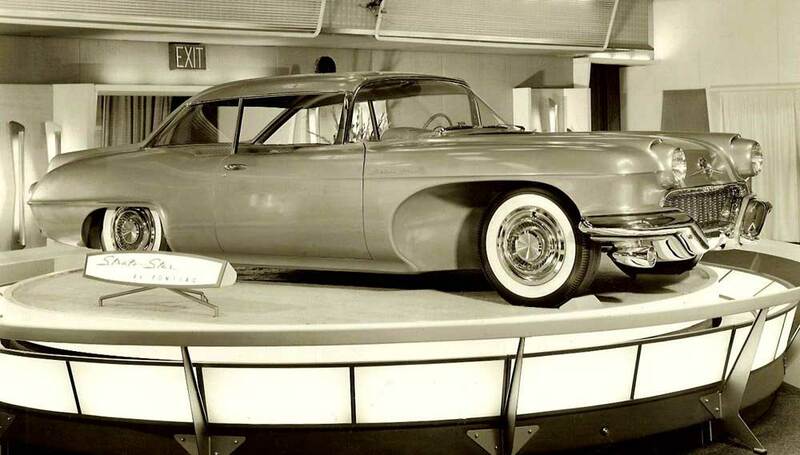 Buick studio was taken over by Dave Holls. 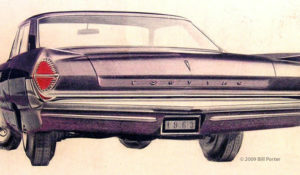 Paul also contributed to Riviera, Electra LeSabre, and the new Skylark designs. 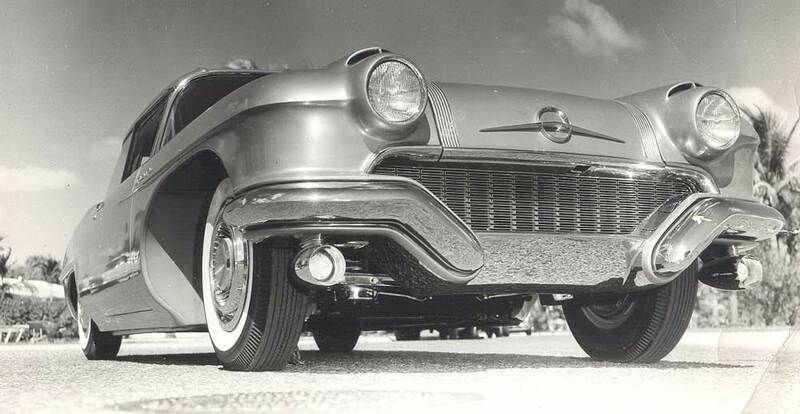 He was again transferred to Moved to Buick in 1965, as Assistant to Dave Holls. 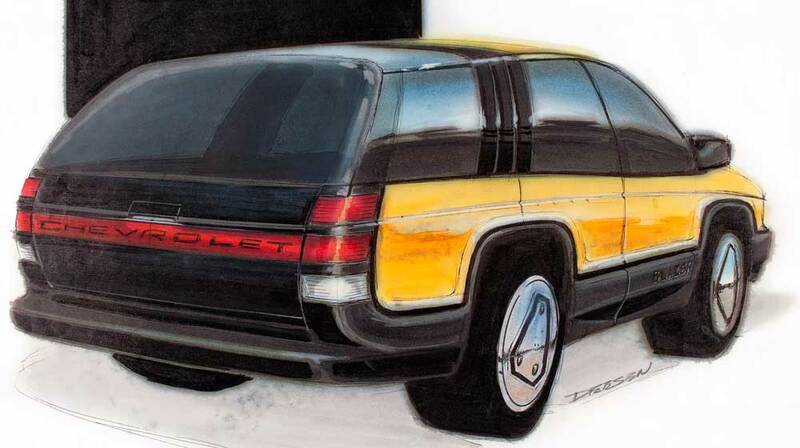 He worked on the new Electra, LeSabre, Wildcat, Skylark, and GS models. 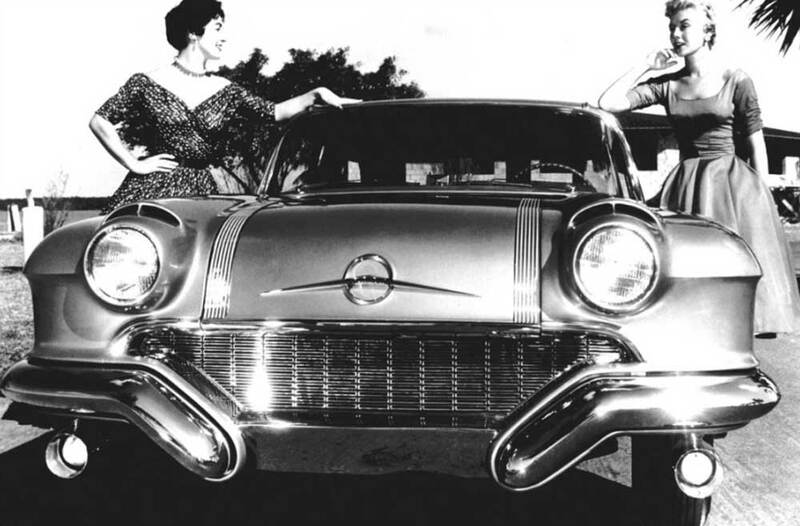 Buick Studio was taken over by Don Lasky. Paul was moved to Studio X for a while to work on the ’67 Firebird lead-in. 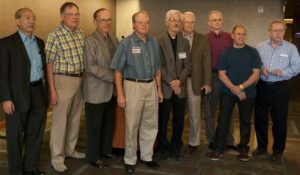 I recognize Tom Peters, Nate hall, Glen Durmisevich, Carol Pirelli, and Paul Deesen (third from the right) in front of the F-16 they designed. No, wait. 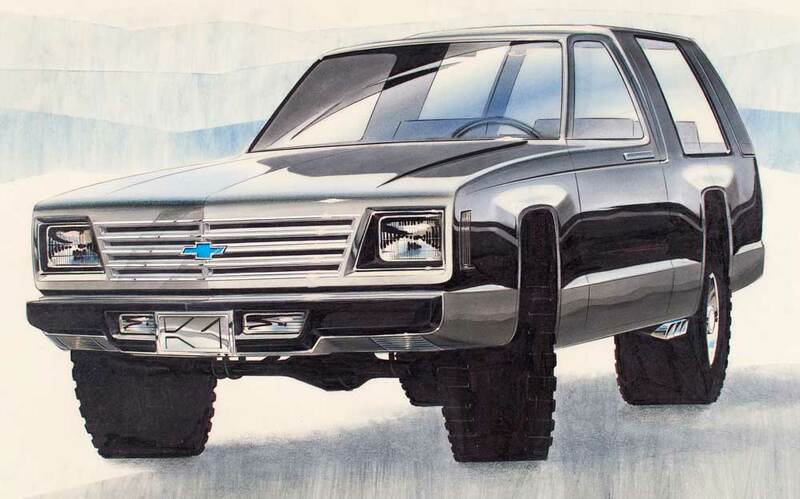 On to Truck Studio in ’68 as Assistant to Bill Lange, and contributed to the birth of the Blazer and Jimmy, development of Chevrolet and GMC pickups, RTX and city bus, the El Camino for Chevrolet and GMC, and the Astro Cab (aluminum tilt) heavy-duty and medium duty front ends. 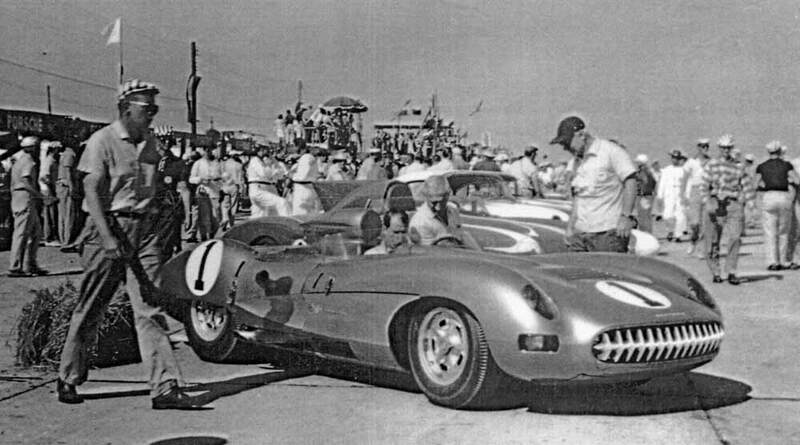 Mike Lathers took over from Bill Lange as Truck Studio Chief. 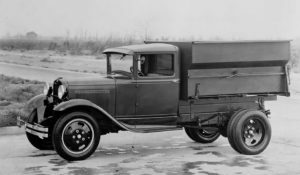 During that time the GMC Motor Home, medium and heavy-duty trucks, the General and G.M.C. 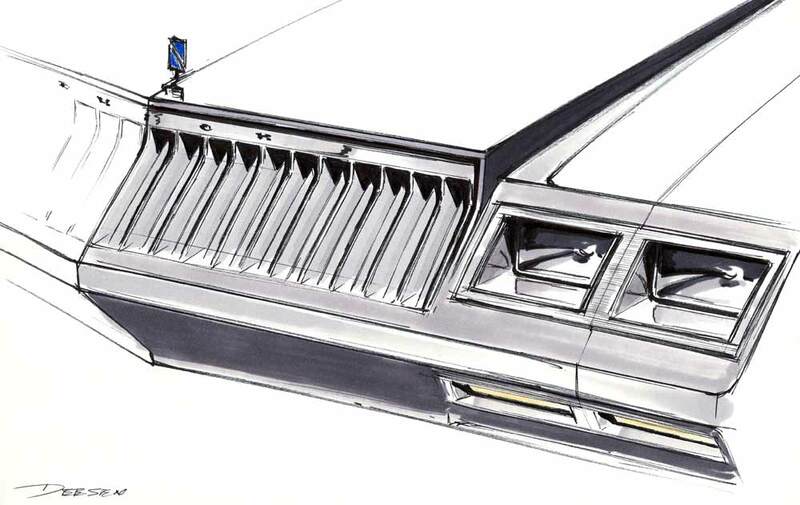 STS bus were developed. 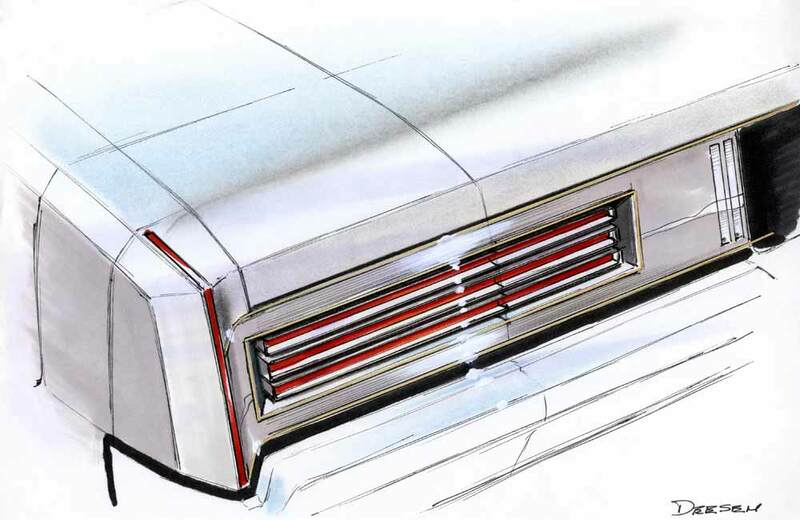 In ’70 Paul went down to Advanced Chevrolet under Dave Clark to help develop the new A-body sedan. 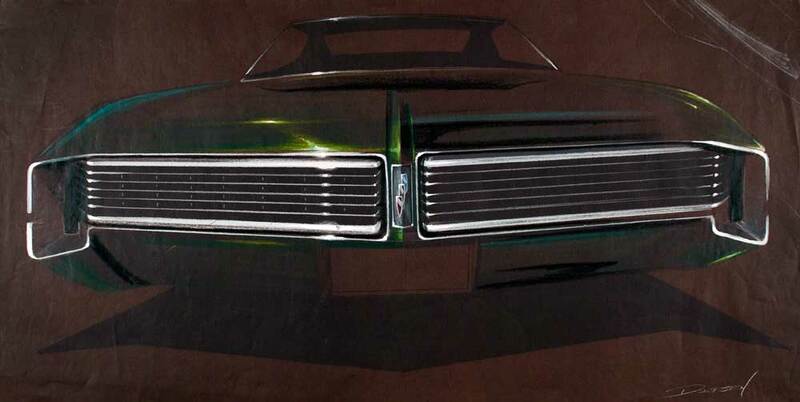 Paul was moved with Dave Clark in ’73 to run Buick Two Studio when Buick Studio was split. There he helped productionize the new Riviera. 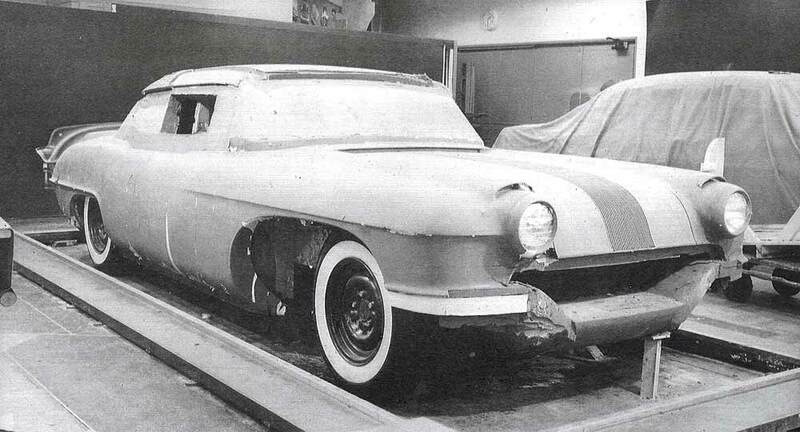 Paul also worked on the new Skylark FWD X-body and A-body platforms (Regal and Riveria show car). 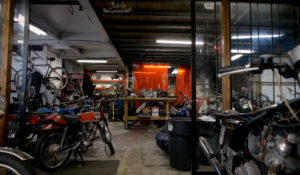 Paul was moved into the Multipurpose Studio from ‘75–’78 where he worked on the LUV truck, the S-10 pickups, Blazer, the A-body wagon, and the Astro/Safari M-vans. 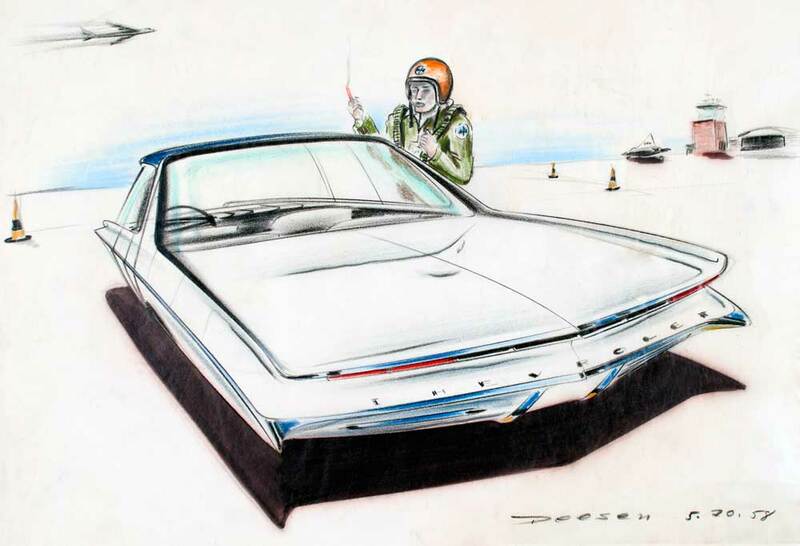 Paul spent ’79–’85 in Advanced 4 Studio under Kip Wasenko and worked on the last C-body RWD Cadillac, the new Pontiac F-body, and the Lotus Sport. 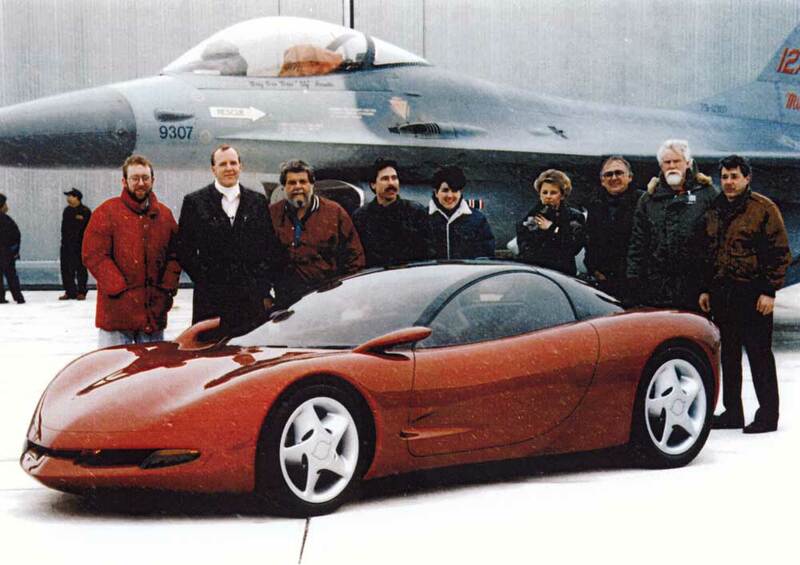 From ’86–’92 Paul was with Tom Peters in the Advanced Corvette Studio. 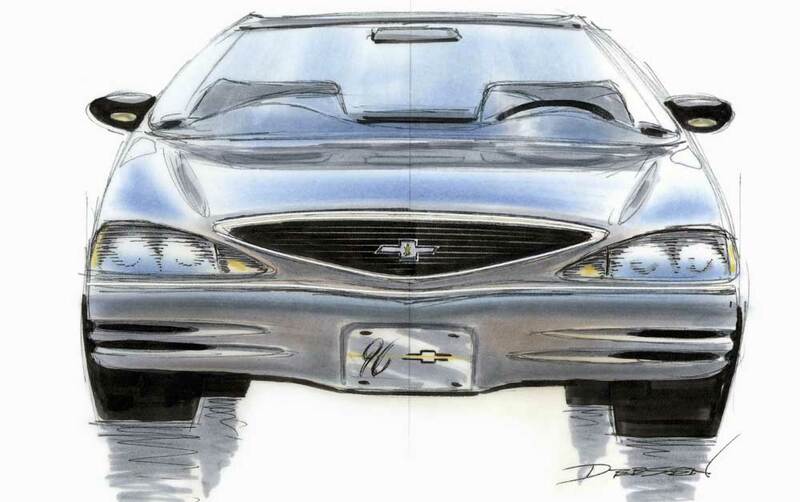 ’92–’95 was spent with Jim Bieck in Advanced Chevrolet developing the ’04 Mote Carlo. 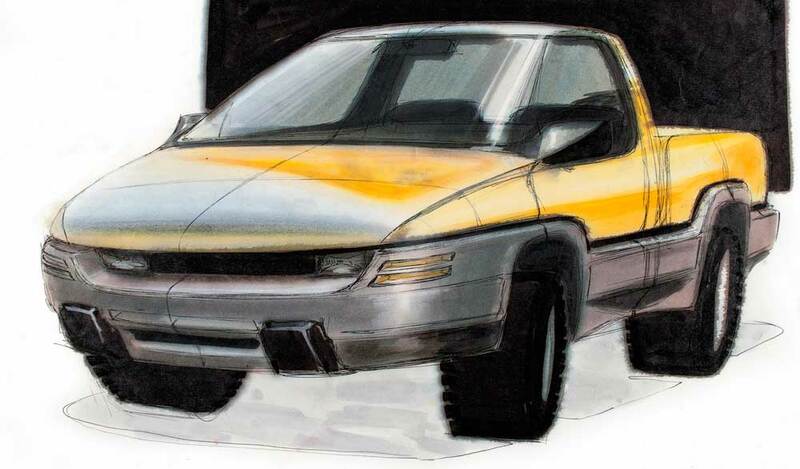 Paul spent ’96 in the Advanced Truck Think Tank. 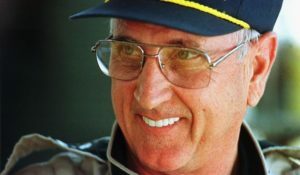 When I was at GM, Paul was always great to be around. Encouraging and uplifting with a great sense of humor. 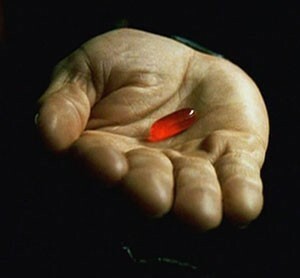 Thanks, Paul, for providing the content for this post, and your friendship. Great stuff Paul. Those of us who worked with you later in your time at Design missed alot of the natural fun that you brought with you everywhere. Best Wishes Paul. P.S. Done any sketches lately? Spectacular presentation! 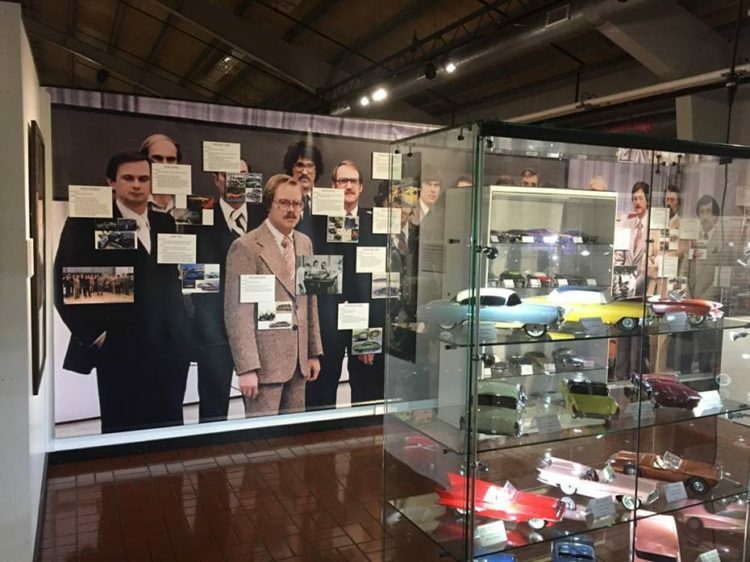 Thanks for sharing these fine examples of your creative work and the design projects you’ve been involved with during your time at GM Design. 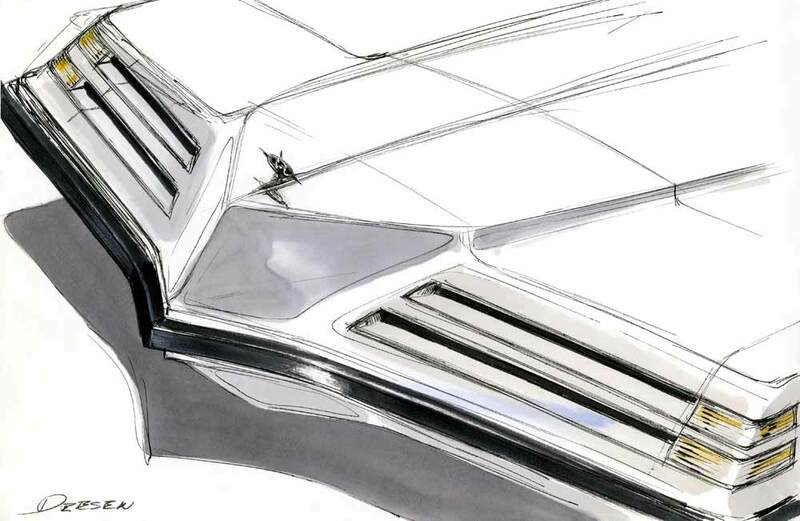 Your sketches and renderings are a ‘treasure trove’ of creative expression, especially for those new to the profession, while admired, appreciated and respected by those of us who are seasoned! what an amazing, wonderful career. thank you paul. 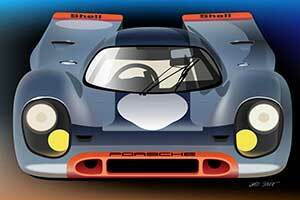 i see so many of the classic designs in their gestation in these sketeches. just beautiful. thank you so much. One more thing….. 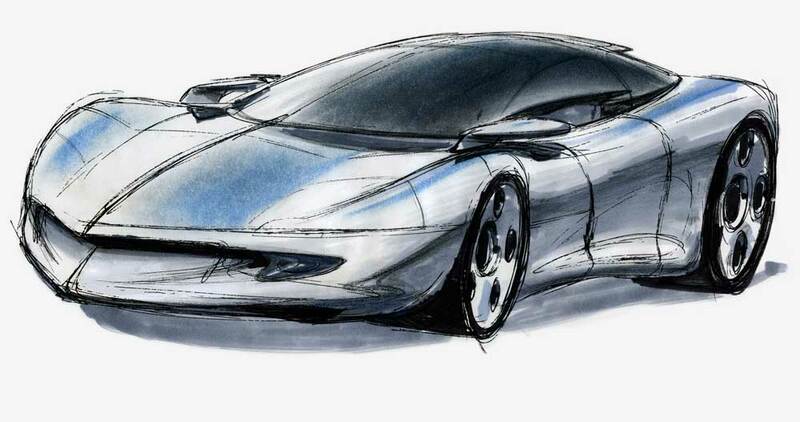 Your sketches/renderings have a visually exciting quality, capturing the viewers attention, something both as an expression of your imagination, individuality and the spontaneity of having drawn all these by hand. 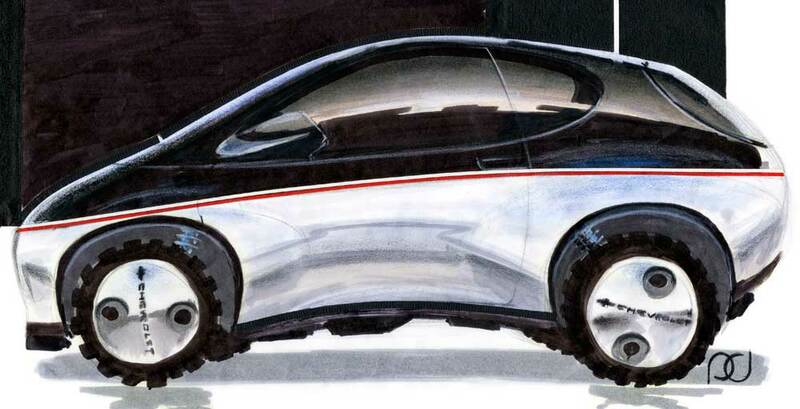 In this designers opinion, todays CAD sketches/renderings all look like one person did them? 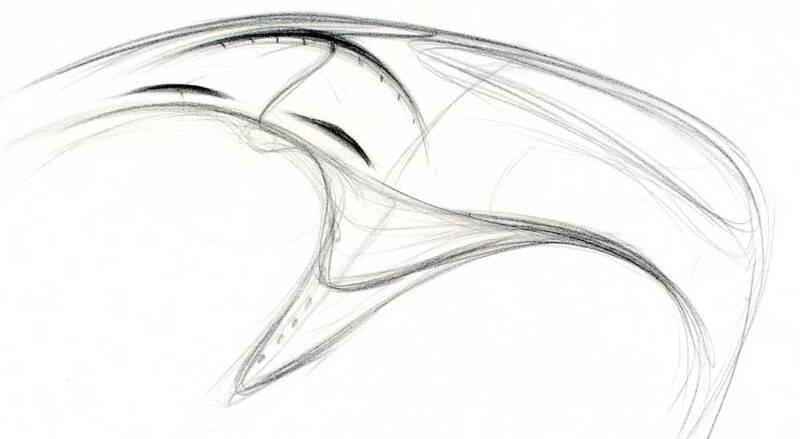 It would be interesting to see a student, and/or professional project done w/o the use of Computer rendering tools, all hand drawings, sketches/renderings, and see what the results yield? They might provide a refreshing surprise?! As someone who grew up in this phenomenal era in Detroit and who lived through it all, Paul’s stuff is a paradise dream for me! 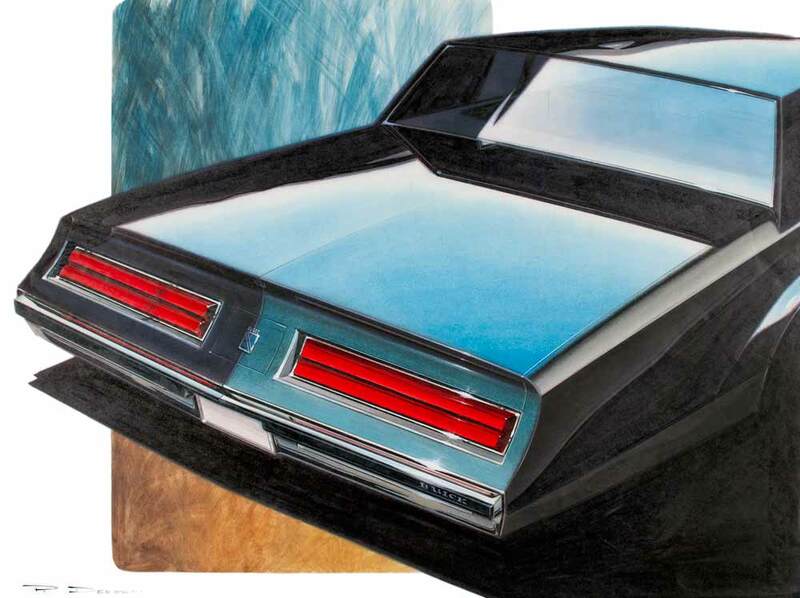 And ohh, those images of the Pontiacs and Buicks of the 1960s. What fabulous stuff! 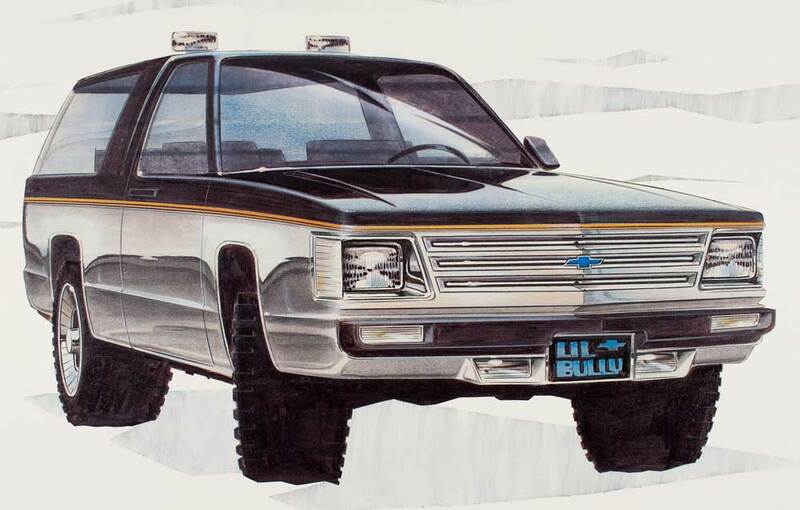 This truly was when cars had some real flavor and when going to the auto show or opening a brochure meant more than viewing a bunch of look-alike jelly-bean designs with grimacing faces on them. Or clunky trucks pretending to be automobiles. 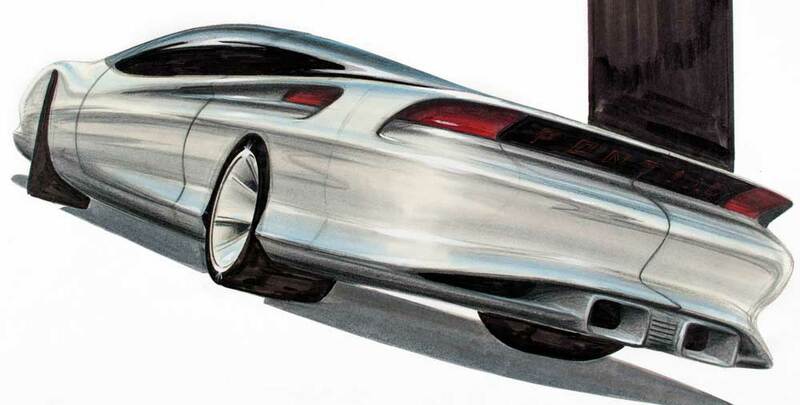 Concepts like the Strato Star (one of my fave 1950s dreamcars) had personality… character. 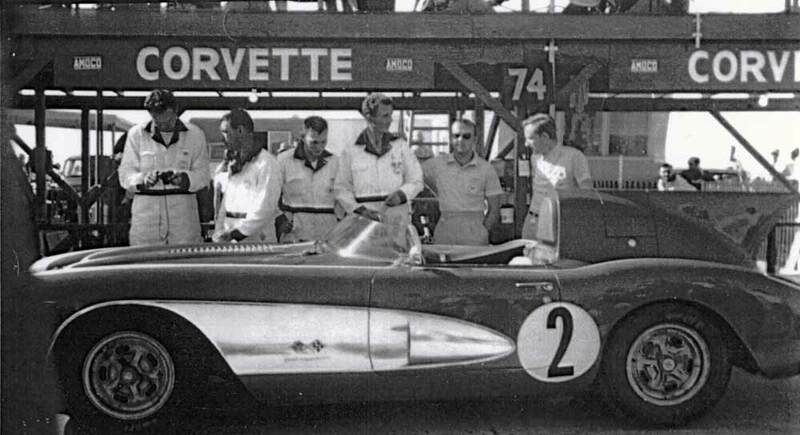 They fulfilled every bit of the “dream” aspect and were a source of great inspiration to me, personally. Thank you immensely for sharing these incredible images. What a talent! 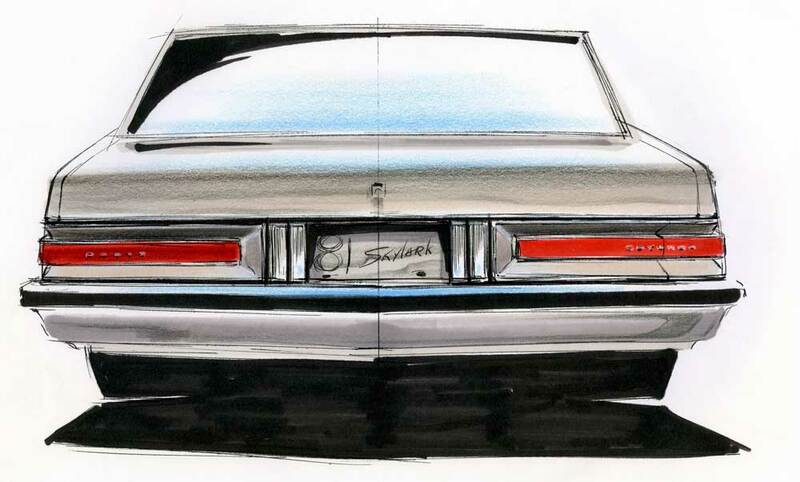 Yes, great sketches/renderings; love what looks like an Eighties update of the 1961 Impala rear (Rendering #21)! 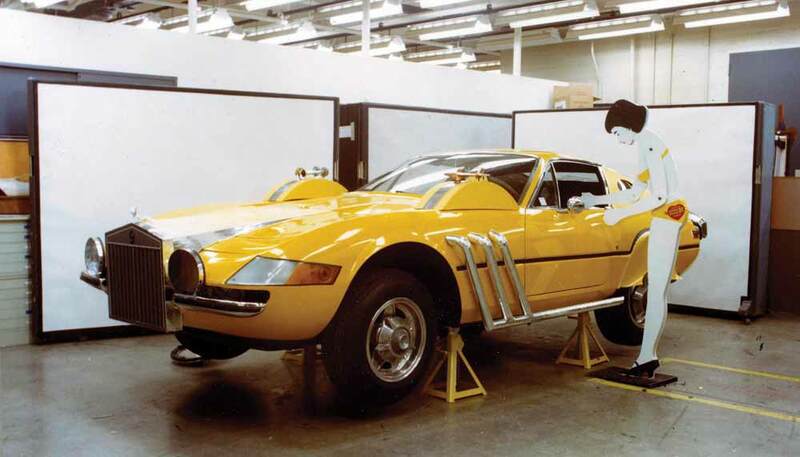 Besides all the great cars Paul worked on and his wonderful personality, the most memorable thing about Paul was his infamous mock-ups. 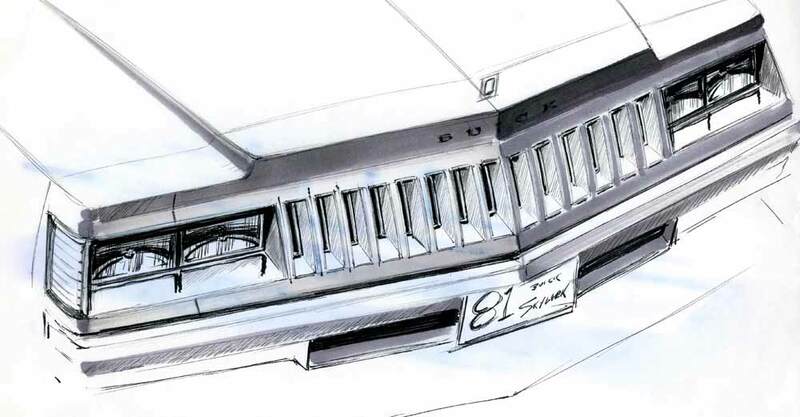 Who else would mock up a broken brick wall around a rear end buck push against it as if it crashed through, or remember the door you mocked up in the hall under the EXIT sign that had no door and weren’t you one of those who mocked up Chuck Jordan’s Ferrari Daytona into a Super Fly car? Great stuff Paul. 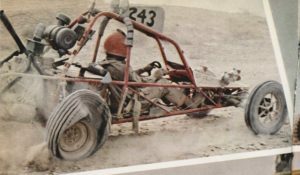 Mr. Deesen (as I knew him) was a friend of my Dad’s when I was growing up. 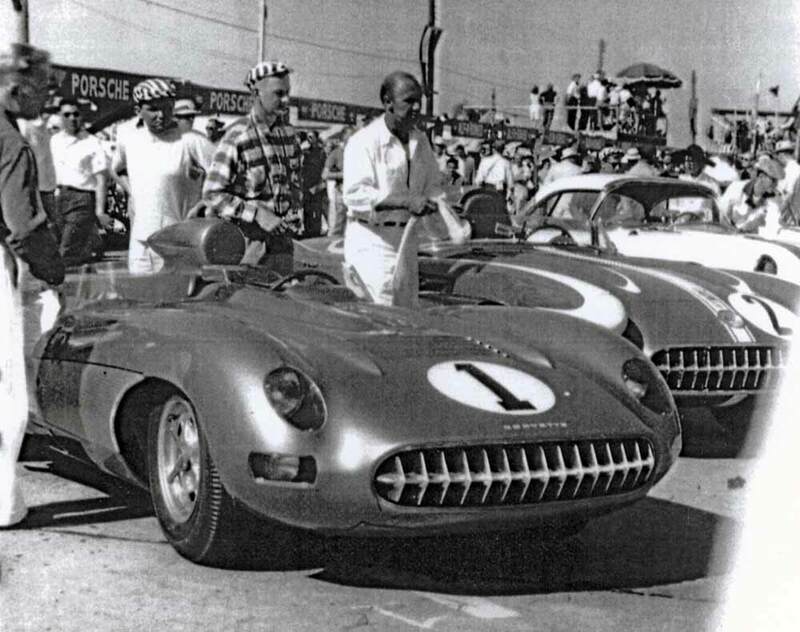 I remember him giving me a ride in my first “fast” car (a brown Monza Spyder with a 350 and a 4 spd), and giving my rides in various F Bodies over the years. I only wish I’d known what questions to ask about his amazing career back then. He has always been just plain “Dad” to me! 🙂 It’s funny because when I was little, I remember watching him do similar sketches. 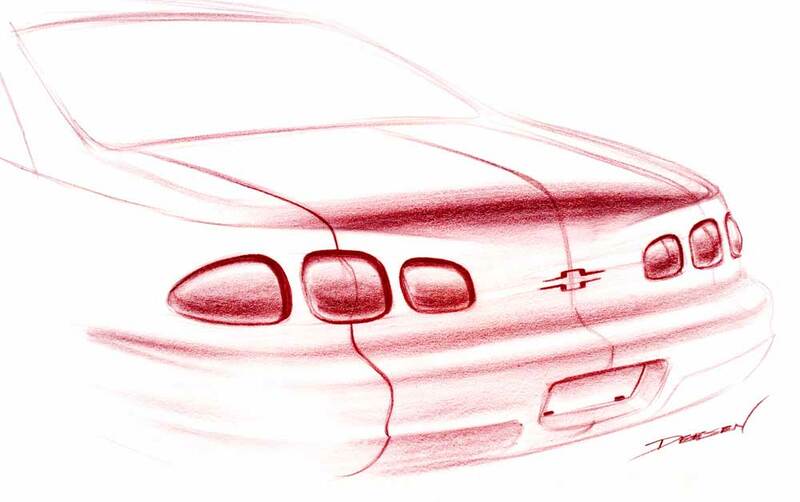 The time it takes me to draw a stick person with a tinker-toy sun and a lolipop tree, he can sketch a car in perfect detail. 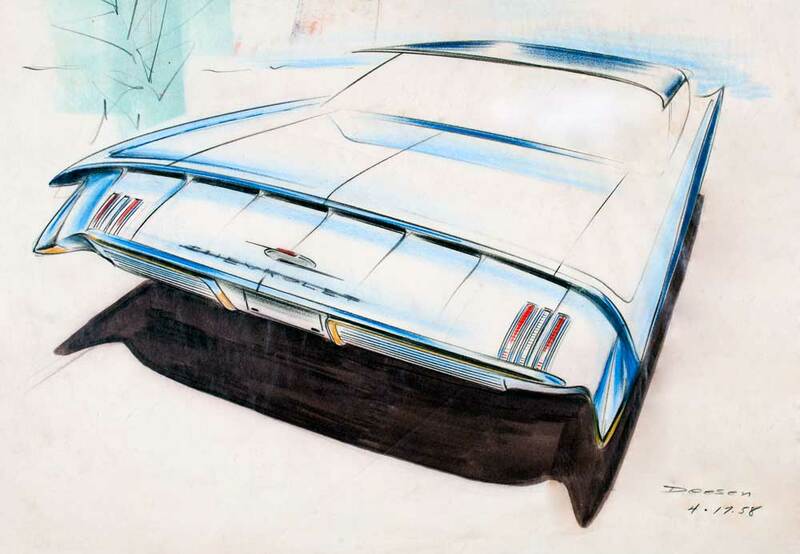 As a kid it was just my dad and his car sketches. Looking at them now as an adult … Wow. It blows my mind! His artistic talent just astounds me. I love you, Dad! 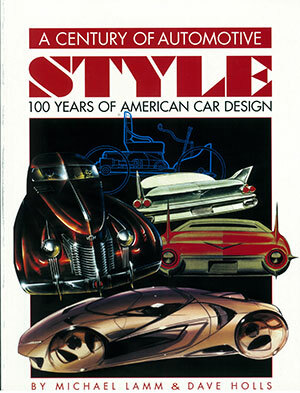 I came to GM Design as a Clay Sculptor in 1969. My first assignment was the truck studio where Paul came up to where I was working and said, “You do good work, that’s not a compliment that’s an order!” I’m still using the statement yet today. He was a high class act. At a wedding reception one day, he carried an impressive gift to the new couple, tripped and dropped the package in which he had loaded with noisy junk. Real cut up! The other guys in the picture above (with the F-16) are: Tony Campagna (extreme right), Bill Dineen (next to Tony), and Andy Adomeit (extreme left). 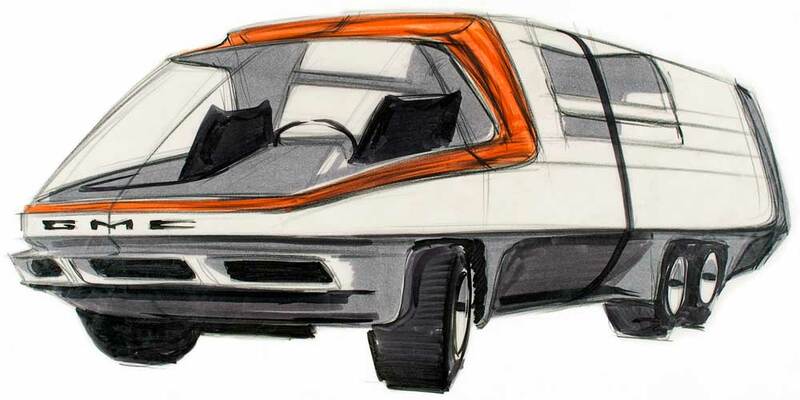 There is a very active GMC Motorhome community on FaceBook, and if Mr. Deesen would care to join us I’m sure we’d all love to see more design sketches and hear more about the development of these fine old motorhomes. I’ve linked this page there just today, as well as several sketches.